The diagnosis of diabetes is a concern for many, but can cause women to experience a greater level of concern prior to and during an infant’s gestation. High blood sugar during pregnancy, unlike the complications of high blood sugar in non-pregnant individuals, can cause a number of complications, and left untreated can have both long term and short term effects on health and lifestyle. While it is not always possible, diabetic women are strongly encouraged to plan pregnancies to minimize complications. Healthcare providers will want to perform tests including a fasting blood glucose and A1c to evaluate current health, detect cases of unmanaged diabetes, assess risk factors and check for other signs of illness and disease. At this stage it is essential all steps, options and complications are discussed by you with your healthcare provider. Diabetic pregnancies can become complicated very quickly, and this discussion can help parents mentally prepare for the physical, mental and emotional challenges that can occur. The bodies of a diabetic mother and unborn child have a dynamic relationship during pregnancy. Unless there are other complications, the baby has the ability to break down sugars ingested by the mother. This can cause erratic blood sugar levels during gestation, and cause the baby to experience a dangerous low after delivery. One of the most common complications experienced by pregnant women with diabetes and healthcare providers is babies with macrosmia. This term translates to mean “large body” which describes the size of infants born. In most cases, these babies are larger – which can impact delivery and the potential need for a cesarean to be performed. Are Babies Easily Carried to Term? The risk for miscarriage in diabetic women is significantly higher than average, which is why planning is recommended and screens are performed with increased frequency. However, as long as the mother maintains control of their disease and routinely monitors for high blood sugar the risk is minimal. However, most providers will not allow expectant mothers to carry to term, especially when the baby is larger than average. In most cases, the average length of pregnancy for diabetic mothers is around 38 weeks. Pregnant women diagnosed with diabetes face a complicated set of challenges during this period. Despite these difficulties, it is entirely possible for the mother and unborn baby to remain completely healthy as long as the disease remains controlled. Learning about this condition, discussing complications and determining the best treatment are all essential aspects any expectant parents should discuss with their healthcare provider. For more on the high blood sugar prevention following a high blood sugar diet can help as can knowlege in these simple high blood sugar treatment options. When Are High Fasting Blood Sugar Levels Too High? 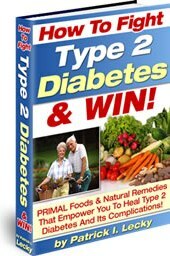 « What Is A Good Low Blood Sugar Treatment and Prevention Plan?